With its leading in the sector full duplex for natural 2-direction conversations, SoundStation2 exceeds the expectations upon use in small conference halls. 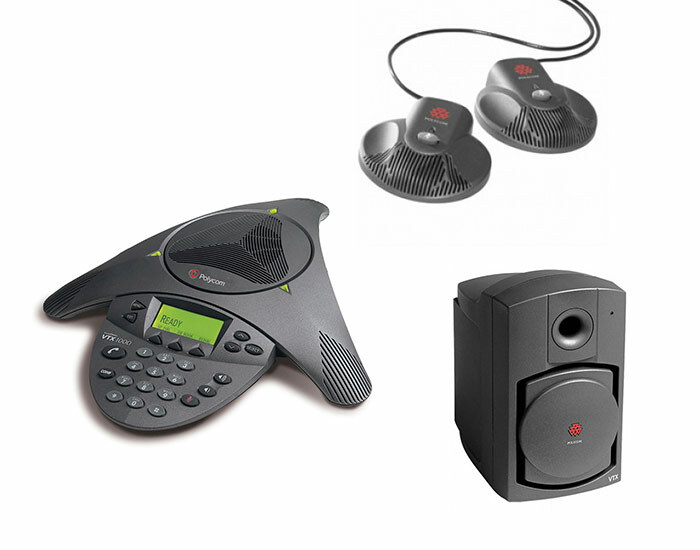 Providing remarkable quality of voice, equal to the one of SoundStation Premier® and 50% increase of the microphone sensitivity through the prize-winning SoundStation Premier®, the system enables the users to talk with normal voice and be heard at a distance of up to 3 metres, which makes each call more productive. The dynamic noise reduction (DNR) provides maximum sensitivity of the microphone and reduces the noise of the room/background. It is characterized by technology, which is resistant to disturbances from mobile telephones and other wireless devices by ensuring clear communications with any dispersing. It offer 360-degree cover of microphone with intelligent mixing. It adds traditional telephone characteristics such as redial, stopping of sound, diversion and holding of calls. Remarkable quality of voice. The new standard for daily conferences. 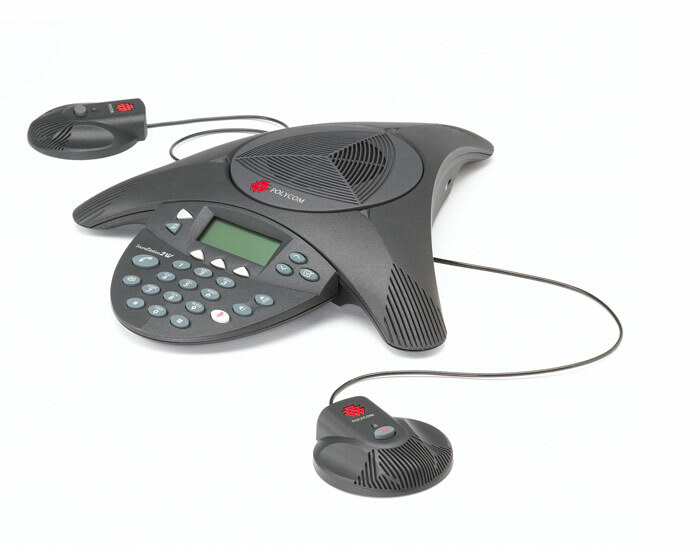 The voice solutions of Polycom are integrated with the leading wired and wireless telephone platforms in order to help the business to work efficiently and effectively. Enjoy the increased productivity and the quicker decision-making through the more natural and effective conversations. Technology of telephones and expanding microphones, which is resistant to disturbances from mobile telephones and other wireless devices by ensuring clear communications with any dispersing. Provides full cover for a premise of 16.5 n 12 metres size. 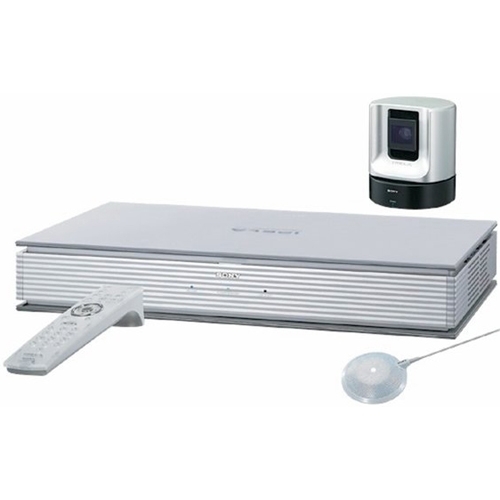 Sony PCS- G50 is a video communication system achieving video and audio connection of high quality. It is ideal for use in small, medium and big conference halls of different purpose: Corporate, education, medical and others. Multi-point video conference of up to 10 endpoints: Upon using MCU, PCS-G50 software can communicate with additional five video conference endpoints (a total of 6 endpoints) using at the same time IP (H.323 protocol) connection or ISDN (H.320 protocol connection. It could also support combined IP and ISDN connections. 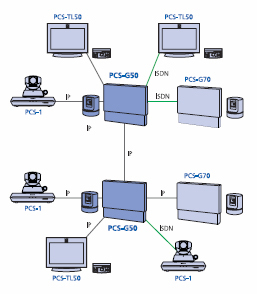 And since PCS-G50 has the speed matching function, it established connection without decreasing the high-speed connections in order to combine them with the slower connections in the way most other Video Conferencing Systems do. Besides this, two PCS-G50 systems with installed MCU (H.323) software can be used through IP connection and can support up to 10 endpoints at one and the same time. What makes PCS-G50 unique is that it offers high-quality H.264 CIF video and crystal clear MPEG-4 AAC sound even upon using a multi-point video connection. And of course, the users could expand the conference from the connection between two pints to multipoint video connection just through dialing of an additional number. PCS-G50 possesses multiple options that make it easy to use. 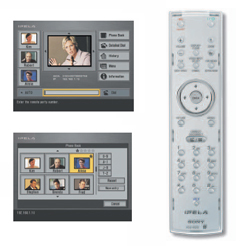 The navigation buttons of the remote control could be used in order to dial and call each contact that is programmed and displayed on the screen. Up to 500 contacts could be stored in the address book of PCS-G50 and can be dialed easily. In addition, PCS-G50 supports history of calls keeping the last 32 outgoing and incoming calls in it, so that the user can find and dial easy and quickly any of the last used numbers.